On Tuesday 12 June 2018, Repton School welcomed seventeen Year 6 pupils from local prep school St Wystan’s for a Science Masterclass with Repton’s Head of Science, Dr Stuart Ingleston-Orme. In the spectacular Science Priory, the pupils learnt how to use microscopes and looked at daphnia (a genus of small planktonic crustaceans). 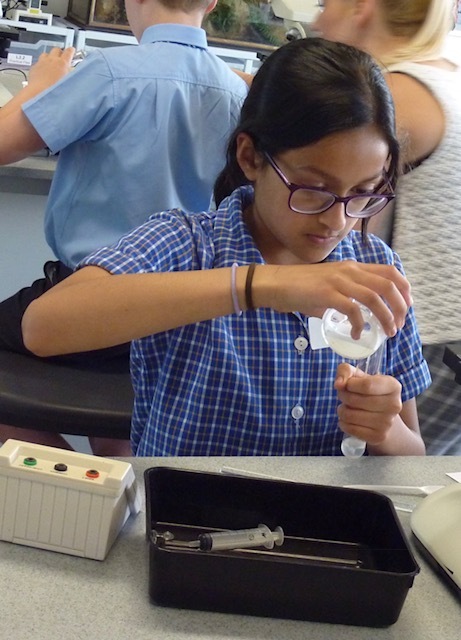 The pupils were also asked to gargle saltwater as part of a DNA extraction practical where they examined their own cheek cells and subsequently took home their very own DNA!